Cal here. Hi everyone. Thanks, Charmaine, on behalf of all of us who contribute to Tuesday Stretch, for your kind comments. We are happy to be sharing stretch glass photos and information and hope we are de-mystifying stretch glass, at least to some extent. We are happy to hear you are enjoying our contributions. 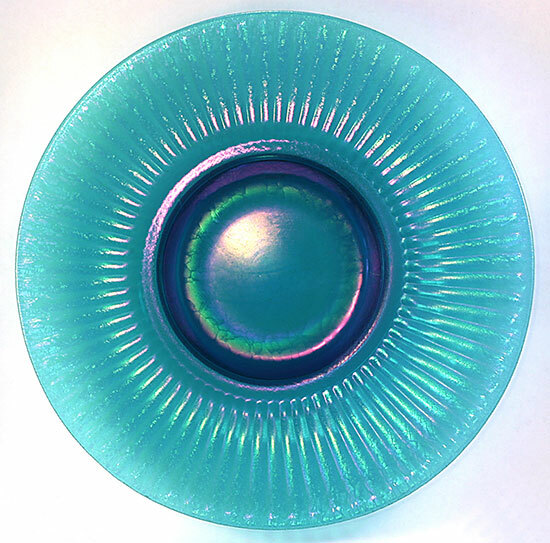 And now, on to more about stretch glass as we get started with another year of ‘hunting and gathering’ iridescent glass. Nine weeks ago I wrote about Optics in stretch glass, which turned out to be a fairly extensive topic. 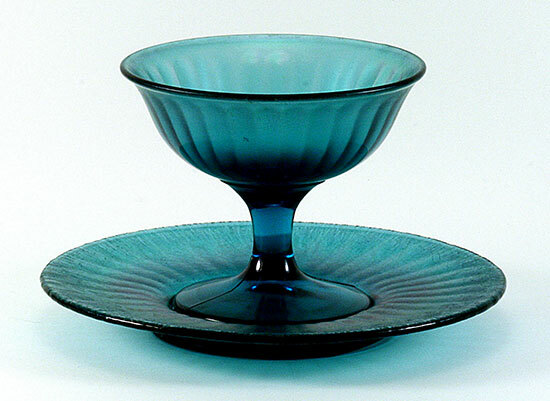 I talked about some of the optics and was going to continue the discussion in my next contribution, but then we became engaged in the discussion of carnival glass punch cups and I couldn’t resist jumping in with some stretch glass punch cup comments and photos. 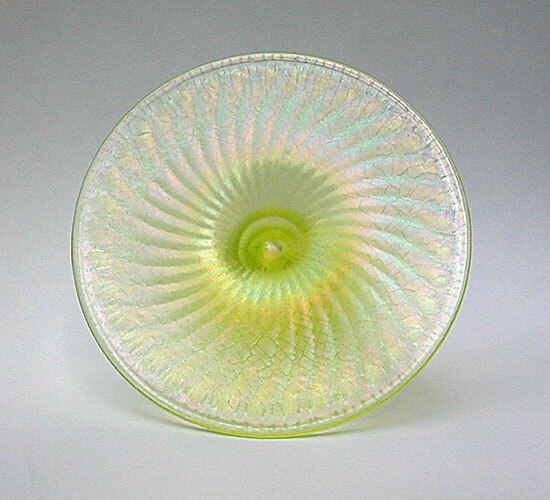 So, finally, tonight I will discuss the rest of the “optics” by sharing some comments and photos of the Optic Panels, Optic Rays and Optic Swirl we find in stretch and carnival glass. 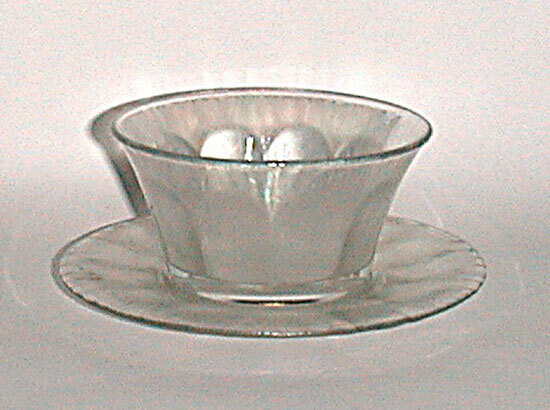 These optics appear in stretch glass made by several companies. Let’s take a look and see which companies made them. 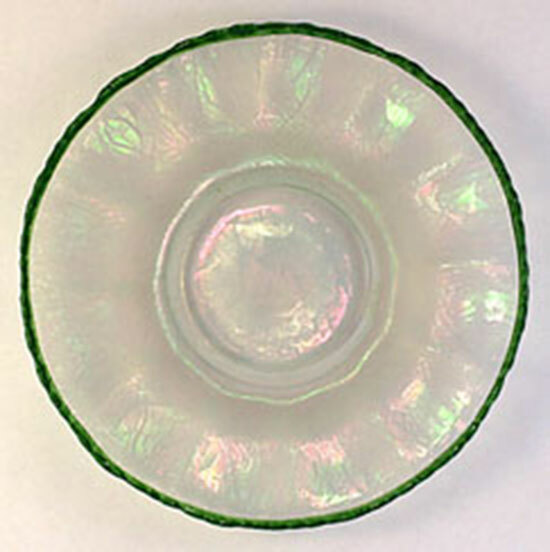 Optic Panels was also incorporated into stretch glass made by U.S Glass (Crystal plate with green painted trim) and Northwood. 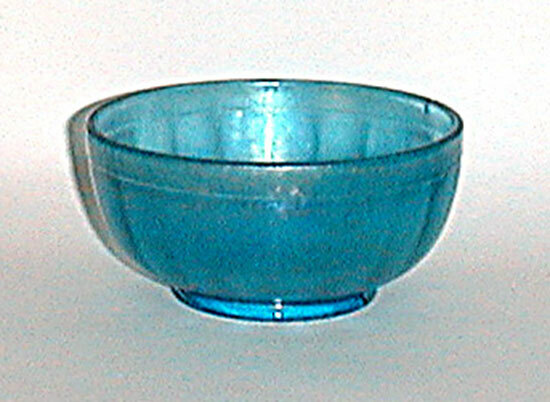 Optic Rays was made by Imperial, Northwood and U.S. Glass. 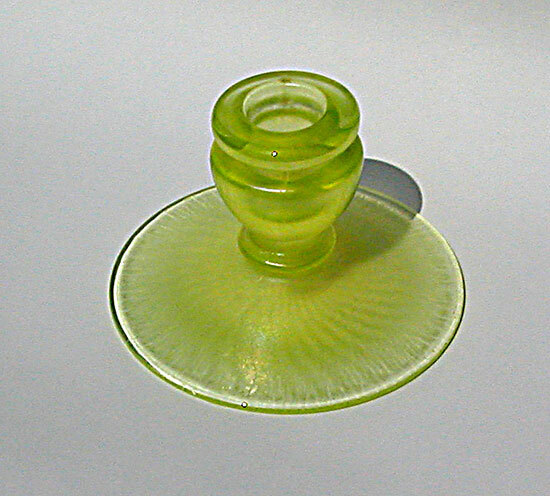 The Green Ice plate with narrow rays was made by Imperial in 3 sizes. 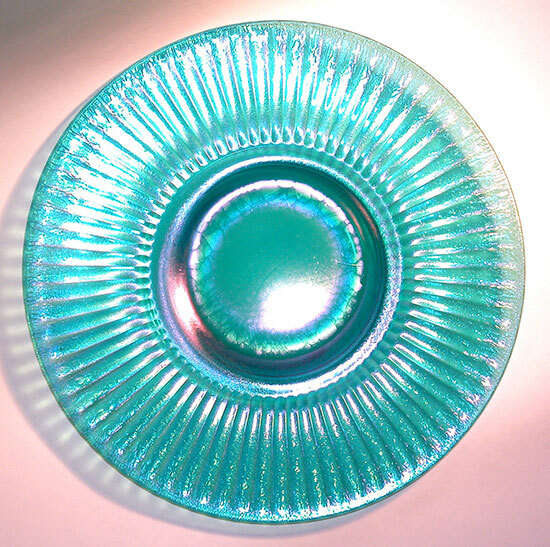 Green Ice and Iris Ice are the most common colors for the narrow rays plates. 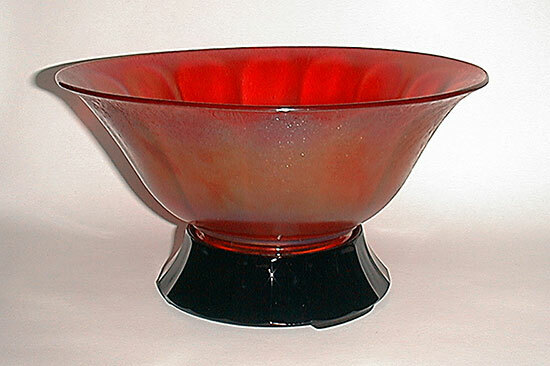 It is harder to find in Blue Ice (smoke), and even harder in red- Amberina – but here’s the sherbet. 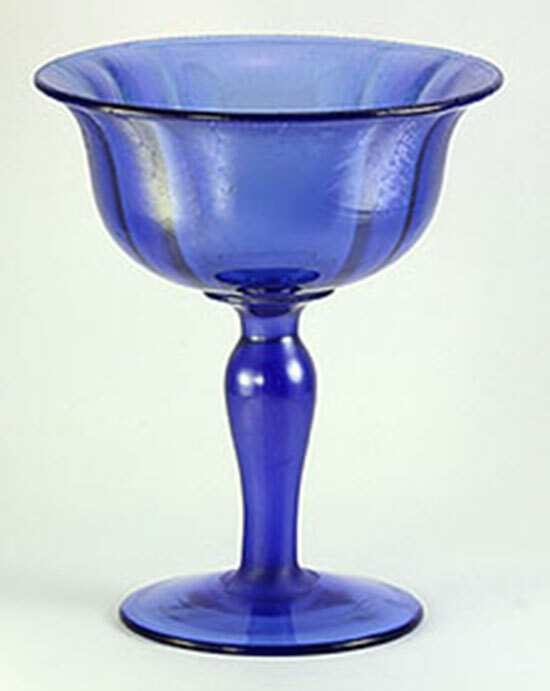 This cobalt blue comport with 4 sets of double rays was made by U.S. Glass. 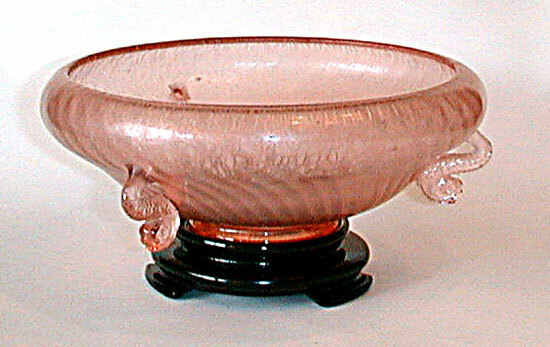 The Northwood Russet footed bowl was made in two separate moulds, which made it expensive to produce. 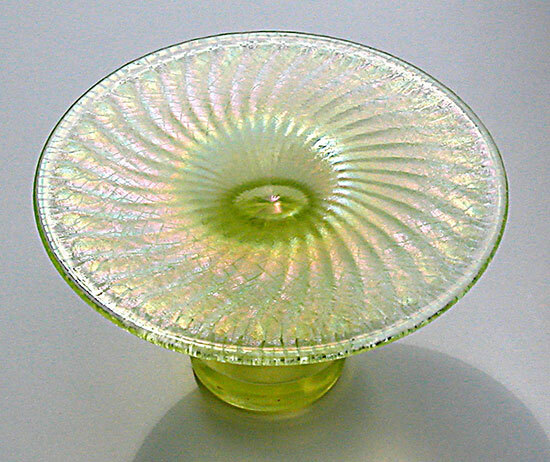 Optic Swirl (Spiral Optic) was produced by Fenton, Imperial and Northwood. Optic Swirl is more difficult to find than Diamond Optic. 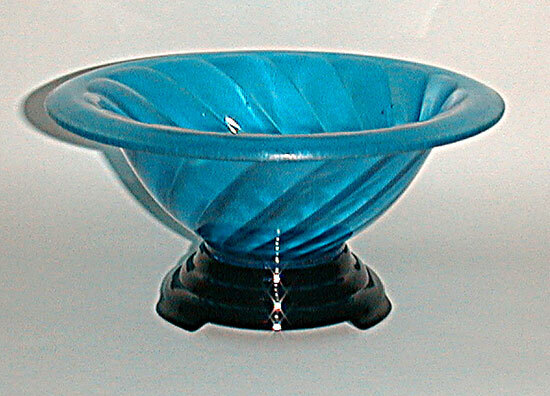 The Velva Rose dolphin low bowl pictured is by Fenton. 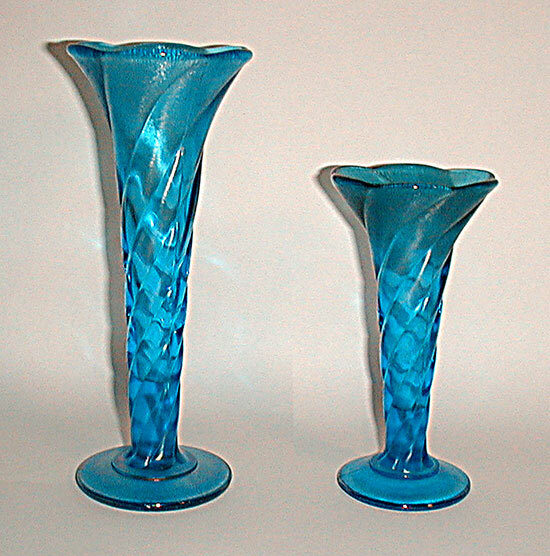 Next are 3 views of a Topaz Fenton candle holder (hard to tell from the first picture that it is a candleholder, but this view is better to show the Optic Swirl). We do not find these often. 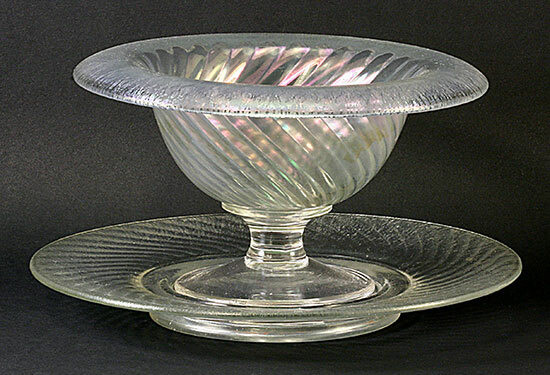 The Imperial Iris Ice mayonnaise bowl and under plate pictured next fit right together since the foot of the mayonnaise fits into the ring of glass in the under plate. 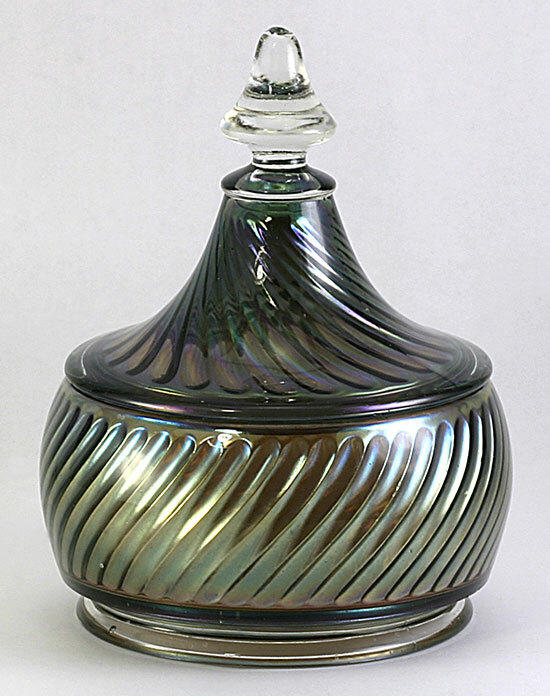 Optic Swirl was also used by Imperial when they made covered candy jars. 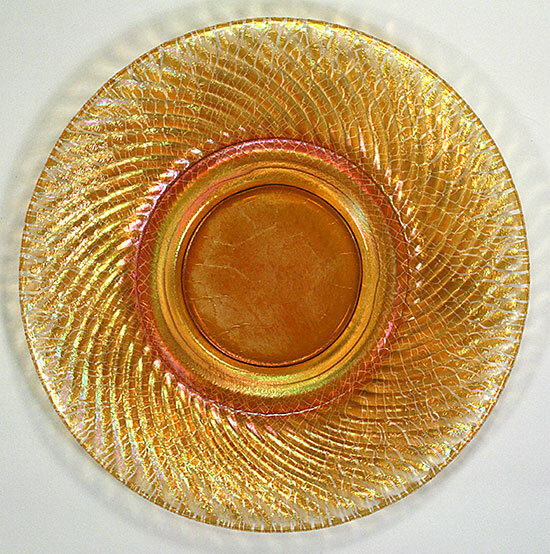 The Imperial Rose Ice (marigold) plate belongs under a cheese dish and is hard to find. 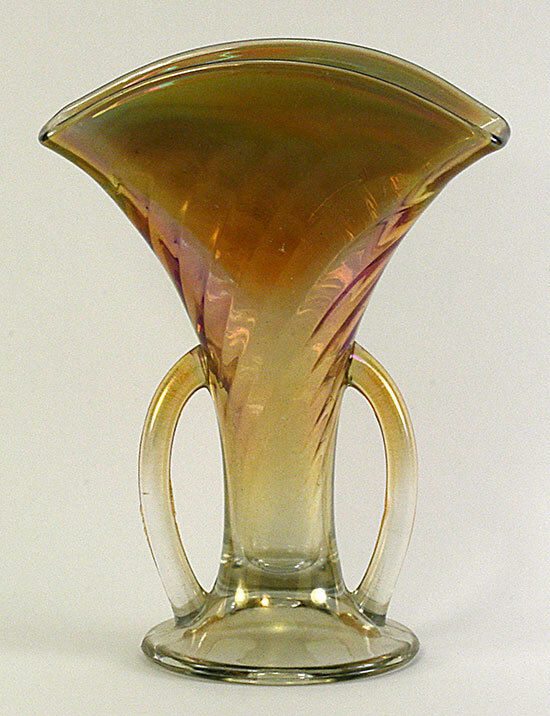 Some of the handled vases show more stretch than this Grecian, 2-handled, fan in light marigold. 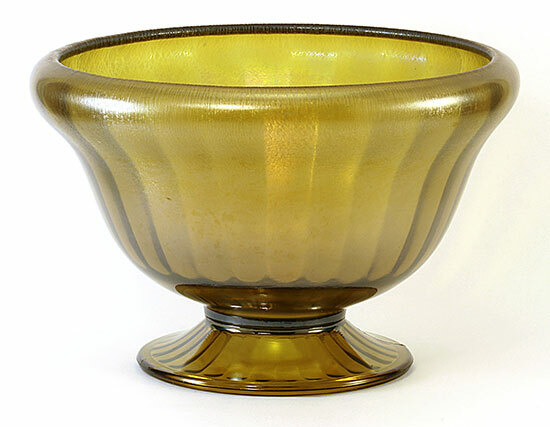 Northwood Optic Swirl is very attractive but apparently was only made in a few shapes such as candle holders, vases and bowls. 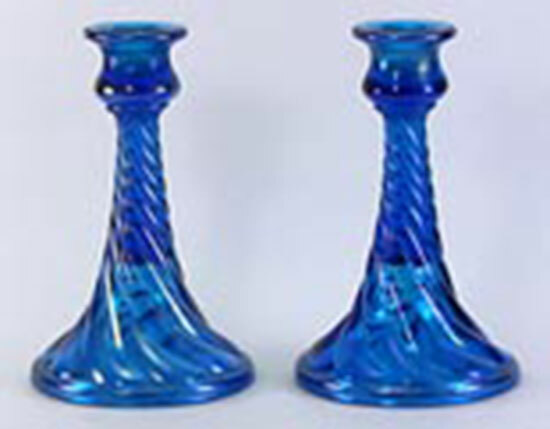 In addition to blue stretch glass, Northwood also made the same pieces in Topaz. 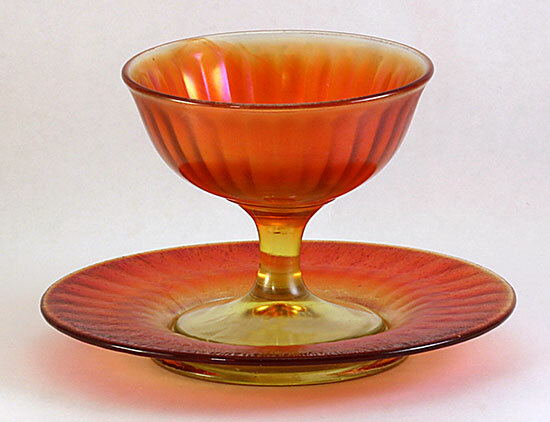 Hopefully you are not dizzy from all these optics; they add a very special look to lots of stretch glass and are sought after by stretch collectors. 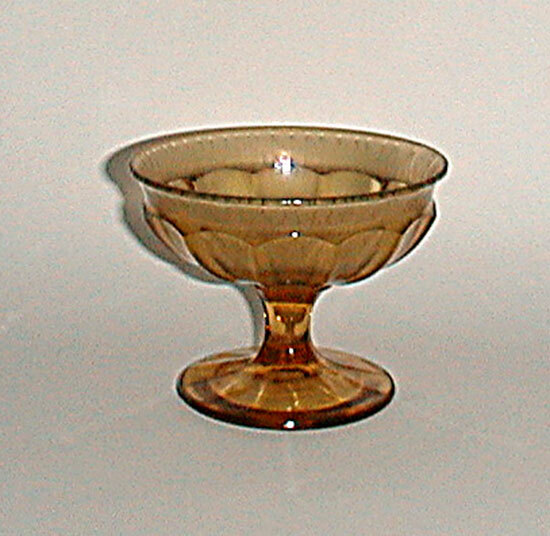 Maybe they are also in the collections or on the want lists of some carnival collectors. I hope you will let us know if “Optics” is one of your favorites and if you have stretch glass with optics on which I haven’t commented.